1st Phase – UDL constructed and relocated the playground at the North East end of Fawkner Park along Toorak Road in Toorak. We demolished the old playground, installed a bluestone retaining wall including steps to the boundary of area and graded and shaped the surrounds to match in. 2nd Phase – We installed an asphalt path from Toorak Rd down to local school at the South end of Park. This was followed by installing Post and pipe fencing. 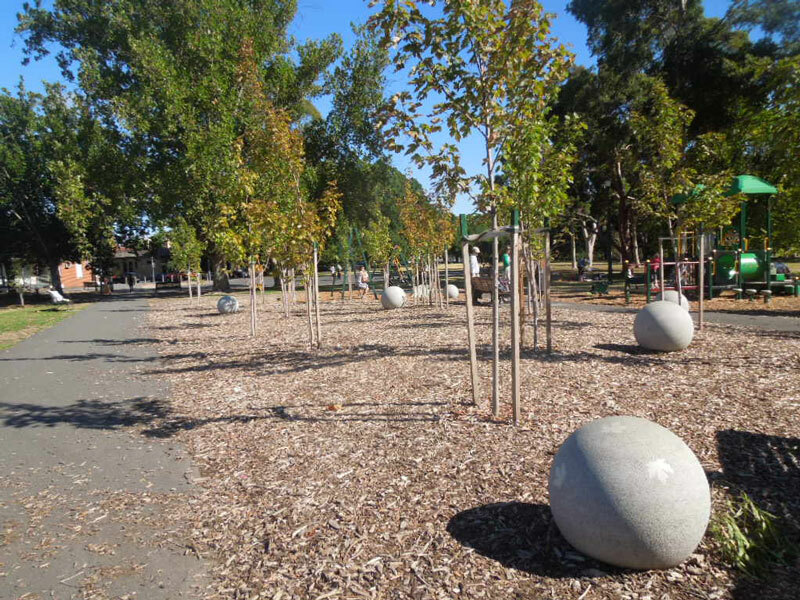 3rd Phase – We installed 5 Concrete spheres to the Playground South East of Park. Local Church and schools were very happy with result.